When asked about his first consuming interest, Park takes a long moment to think, looking back to an Idaho childhood. “Sports,” he answers, at last. “My father was a school administrator and he encouraged us to play everything. My brother, Lonnie, and I were in basketball, football, baseball, ran track, and boxed at the YMCA.” Park continued to run track and also played football in high school and for two years at Boise Junior College and today is still a dedicated sports fan. The move into politics came naturally, despite the fact that Park was a Democrat in a strongly Republican State. “Kind of strange to be a Democrat in Idaho and to want to be a politician,” he says. “But that was the goal. I wanted to make a difference.”Tony was determined to keep trying, even when his early local races ended a few hundred votes short of victory. He admits that at times it felt like running at a brick wall. The election of 1970 marked an historic turning point for Democrats in the state. Tony Park won his bid for Attorney General and his friend, Cecil Andrus, became the first Democratic Governor since the 1940s, ending 24 years of Republican dominance. 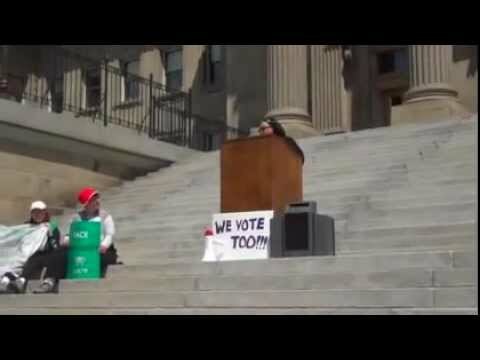 Park is still passionate about Idaho politics. Currently acting as Campaign Chair for Buckner-Webb in the legislative race in District 19, he says, “I’m happy to do it, honored to do it—I think a lot of Cherie and the work she’s done. I knew her father, Buck through sports at the YMCA. I look forward to seeing what she’ll do in office.” Asked how things have changed since his campaign days, Park responds, “Political life is more contentious today on the National level than it used to be; you get people saying outrageous things, but Idaho politics stays pretty much the same.” Democratic candidates always face an uphill battle in Idaho and it can be difficult to find consensus, but Park knows from experience that success is possible. Wide-ranging interests reflect a life of curiosity and examination. Theater, especially Musical Theater is still fascinating to Park. Books have always been important in his family and he usually has several going at once, enjoying police procedurals and mysteries, history, political analysis and biographies. Currently, The Bridge: The Life and Rise of Barack Obama by New Yorker editor David Remnick occupies the place by his bedside. Another favorite is The Best and the Brightest (1972), an account by journalist David Halberstam of the origins of the Vietnam War.